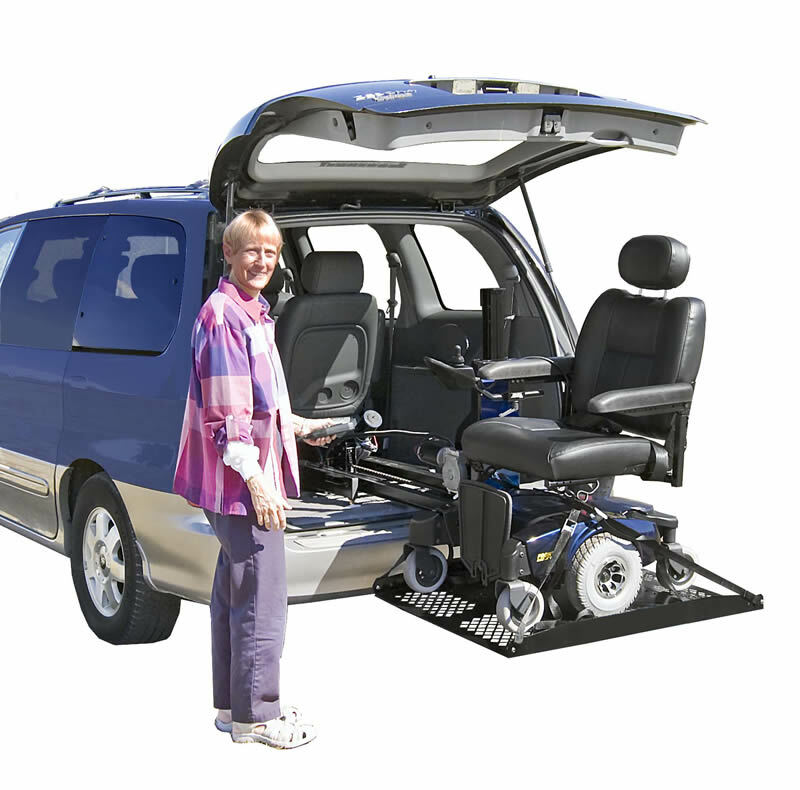 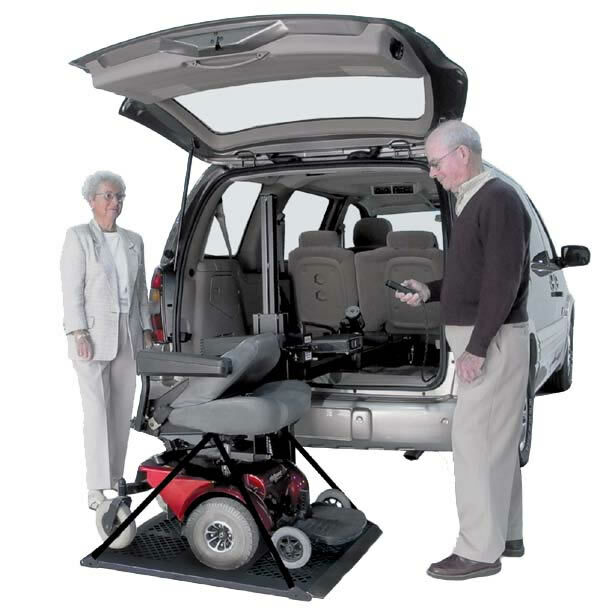 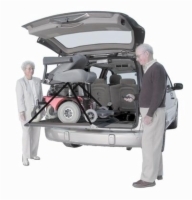 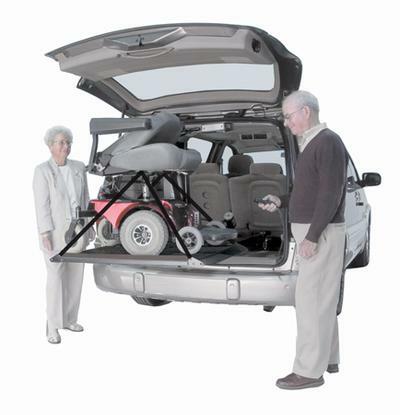 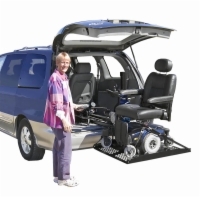 This lift loads like an external lift (just drive onto the platform), but stores your power chair or scooter like an internal lift. 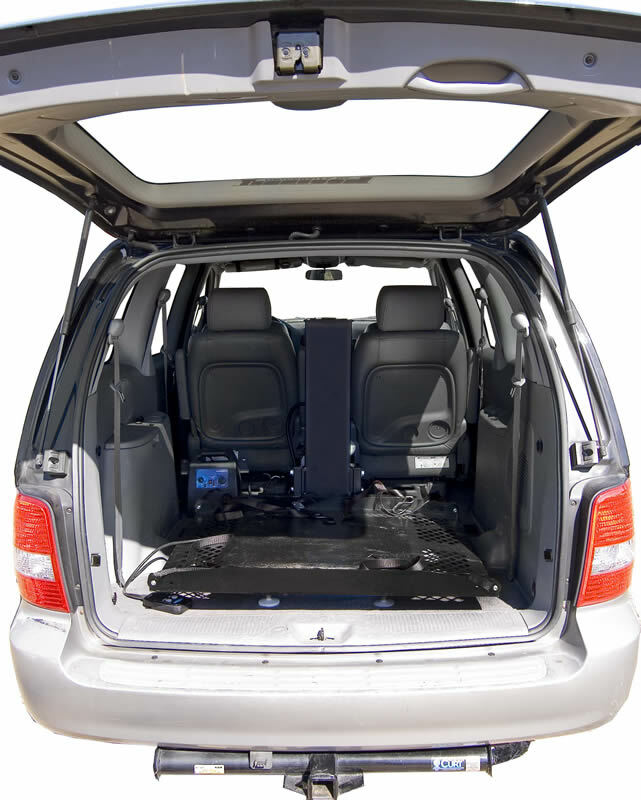 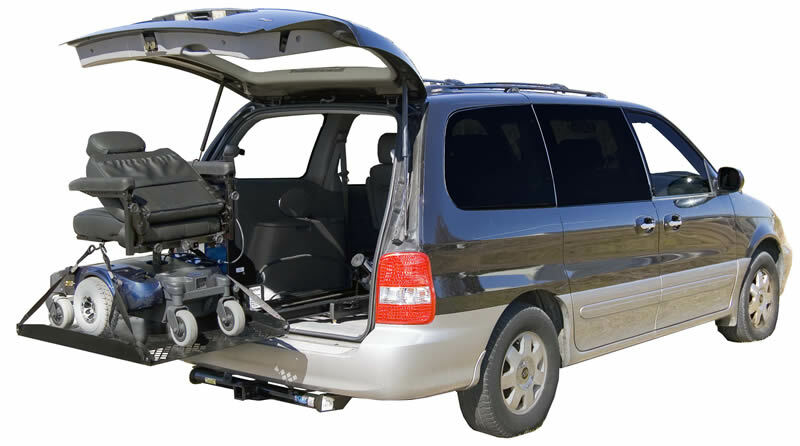 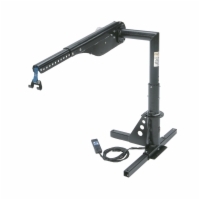 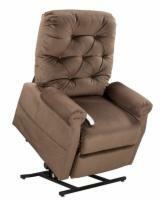 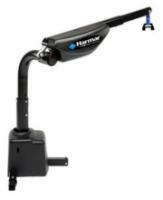 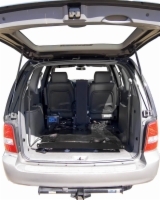 It is capable of lowering to the ground even when attached to large SUVs and attaches to most 3rd row seating mounts greatly simplifying installation. 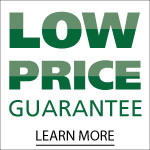 Irish from Colorado would recommend this to a friend. Excellent for my wife to use, easier on her back.